Bitcoin is growing in ubiquity, but when will it become as normal as swiping a credit card or digging out some cash from your wallet? According to these experts, it's a while off -- but the day is coming. When the first modern credit cards were issued in the 1950s, they seemed a far-out concept. Today, paying for everything from phones -- linked to credit card accounts -- in the palm of our hands is an everyday occurrence. The rapid development, and meteoric spread, of non-cash transactions over the last 70 years begets a question for 2017: when will the same take place for digital currencies, such as bitcoin? According to experts, that day is a while down the road. Cryptocurrency transactions won't become the norm until you can use something like bitcoin to purchase a Dyson vacuum on QVC, DA Davidson analyst Tom Forte tells TheStreet. It's a peripheral transaction until then. Jonathan Johnson, Overstock (OSTK - Get Report) board member and president of its subsidiary Medici Ventures, explained to TheStreet that part of the problem is that bitcoin is treated as a commodity instead of a currency. It's still "a while down the road" until bitcoin becomes the norm on Overstock's website, Johnson noted, meaning there will likely be an even greater lag time for e-tailers that have yet to adopt digital currency transactions today. The commodity argument is one of the biggest hurdles to bitcoin becoming the norm in commerce-based transactions. It has to transition from just a store of value to a store of value that can buy you a gallon of milk at the grocery store. Until more U.S. consumers adopt bitcoin, it's likely to continue on that commodity path and to be taxed as such by the IRS, Johnson said. Still, those who offer bitcoin transactions online have a hefty following with shoppers who will spend wherever they can use bitcoin. Hence, adoption rates may ultimately happen quicker than bitcoin naysayers expect. 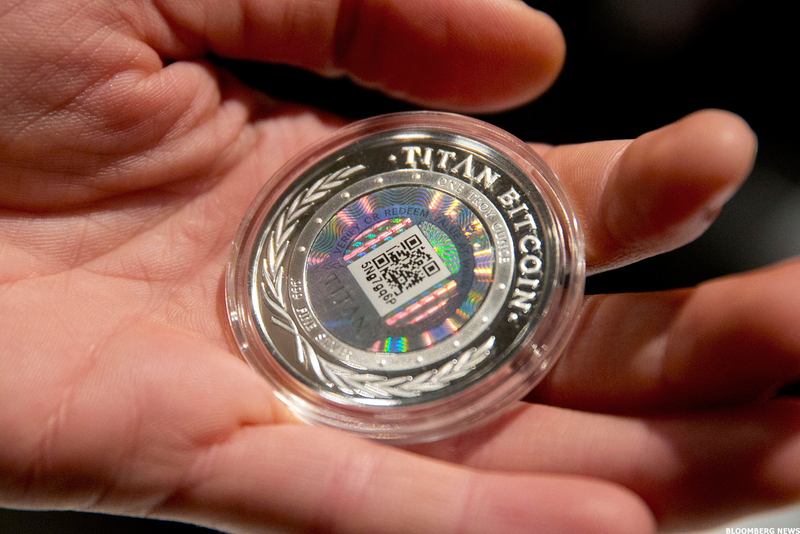 "Bitcoin enthusiasts are pretty loyal," Johnson said. Johnson said he was essentially certain that bitcoin and other cryptocurrencies will become the norm eventually. The question is when, rather than if.